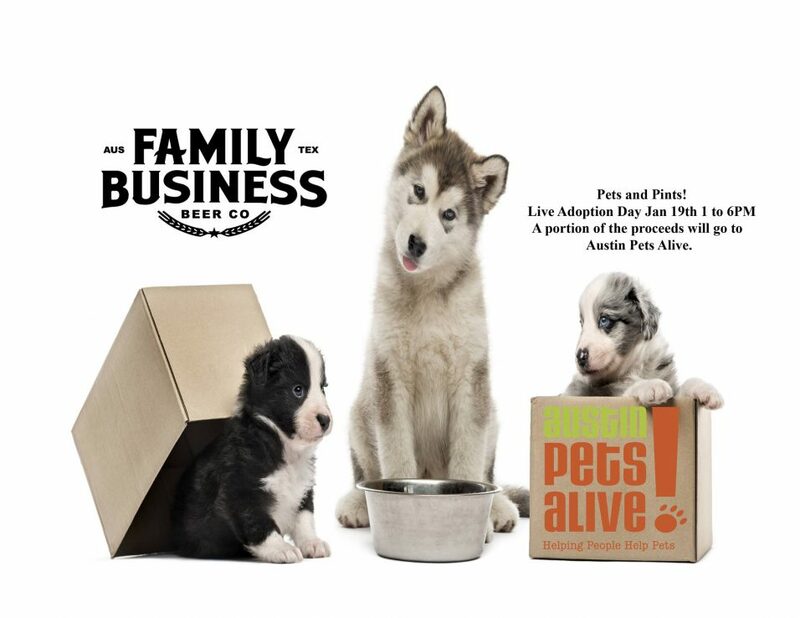 ATX Social Pup > Events > Adoption Event > Pets and Pints! Join us Saturday January 19th for our Pet Adoption Day! from 1 – 6PM the team from Austin Pets Alive will bring out loads of adorable puppies that are looking to find their forever home. The addition of a family pet can be on of the most emotionally rewarding decisions you make, not only for the family but also for the pet! Come by and look then in the their eyes and decide for yourself! For those that already have pets we will be collecting food and cash donations for Austin Pets Alive. We will also be pledging a portion of the proceeds from three of our favorite beers throughout the entire weekend. Please come by and show your support by adopting one of these loving pets or by donating. We’ll see you out here! The three beers we have selected are the Hamilton, The Fox, and King Biscuit. $1 from every pint sold of those will be going towards Austin Pets Alive.